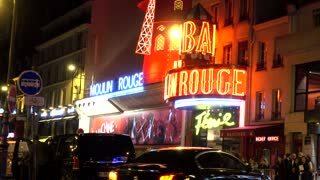 Search Results for "night club"
The Moulin Rouge cabaret at night. Paris. France. Robot waking and lighting up at a live futuristic robotic laser light cabaret show in the Kabukicho district of Shinjuku, Tokyo, Japan. Tokyo, Japan Robot Restaurant live performance illuminated show. Mixed lights and music entertainment show with robots and humans at the Shinjuku area restaurant.